24 Hour Window Lock Repairs in Southampton and the surrounding areas. Hampshire Locksmith provides 24 hour window lock and repair services in Southampton, Eastleigh, Portsmouth, Hayling Island, Gosport, Chichester, Emsworth, Petersfield and the surrounding towns in Hampshire. If you are looking for replacement window locks or want to repair a broken window lock, then we specialise in a wide range of window locks for domestic and commercial properties. We can repair or rekey your locks, which is sometimes all your existing lock needs to work as it should. But there are times when a complete lock replacement is recommended. Whatever type of window lock you have, if it’s broken we can repair or replace it. Our team will fix any broken lock in no time so that your home is back to being as secure as it was previously. When window locks fail, more often than not, your double glazing company will suggest replacing the window itself. At Hampshire Locksmith however, we can get the window open and repairs which works out to be a far more cost-effective solution. If you’ve been unfortunate enough to have a break-in, it could be that you have irreparable damage to the locks of your window. 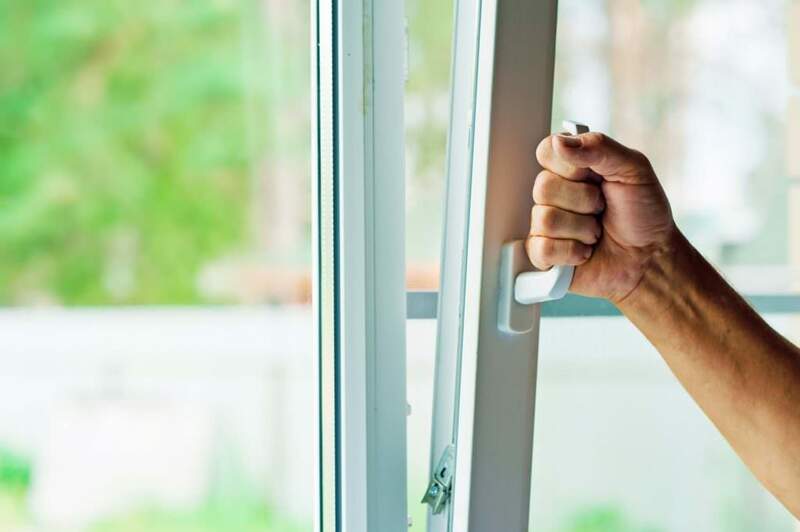 This could make you vulnerable to further break-ins, which is why it is so important to get it fixed as soon as possible. We will examine all your existing locks and let you know which ones need replacing after a break-in. We can advise you on improvements you can make to your home’s security to protect you better in the future. Insurance requires that windows have a key lock so that a burglar cannot simply break a window to gain entry. Therefore, it is essential that you replace or repair your window locks as soon as possible. Our 24 hour locksmiths in Southampton offer a first-class service for the repair or replacement of window locks. We fit all types of window locks for uPVC, wood, aluminium and metal – also known as Crittal windows. All of our fitted locks come with a 1 year guarantee for your compete peace of mind. The window locks in your home or office is essential to the security which is why you should check on the functionality of the locks regularly to keep them in working condition at all times. We can advise on the upkeep, repair and maintenance of your windows to make sure they are safe and secure. It’s normal that over time the mechanism in your lock can wear down. You may find that the key doesn’t turn as easily as before, or that it gets stuck. In colder weather you might find your door lock doesn’t function as well or you may find that it has rust or other visible signs that will be detrimental to how it works. Does your window suffer from the following issues? If so, you should contact Hampshire Locksmith today to discuss your needs and requirements. We stock a wide range of window locks for various applications such as; casement windows, sliding windows, hopper windows, awning windows, tilt and turn windows and even bi-fold windows. 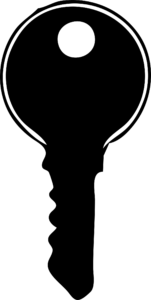 We are completely transparent about our pricing and costs, with no hidden costs and affordable prices. All of our customers in Southampton and the surrounding areas can benefit from a cost-effective window lock repair service. Whether you need to repair a damaged lock, change a lock or fit a new one, our highly trained Locksmiths can help you out. All of our locks are fitted to British Standard so you can be assured of their quality and security. We offer additional security upgrades for homes and businesses as well as supplying a market-leading range of window locks as standard. 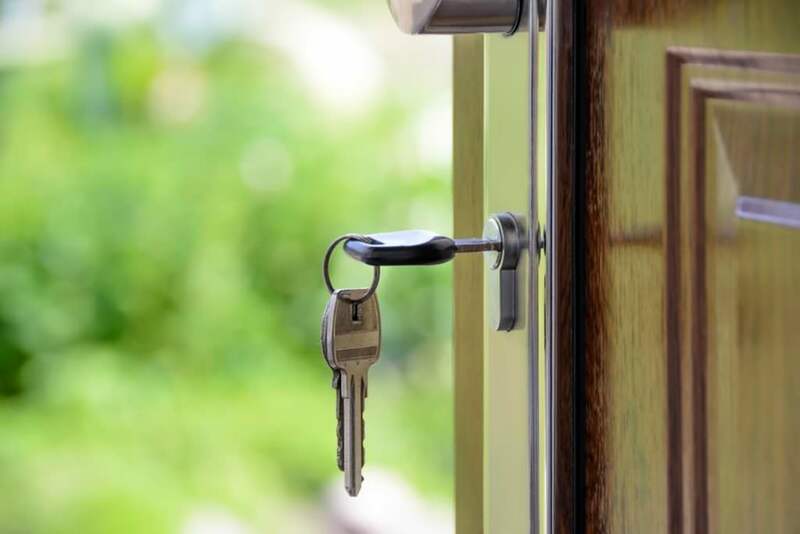 Our trusted locksmiths have you covered, with our 24 hour locksmith and window repair services being offered in Southampton and the surrounding areas. You can contact us directly to discuss your requirements and needs in order to provide you with a window repair service that you need. 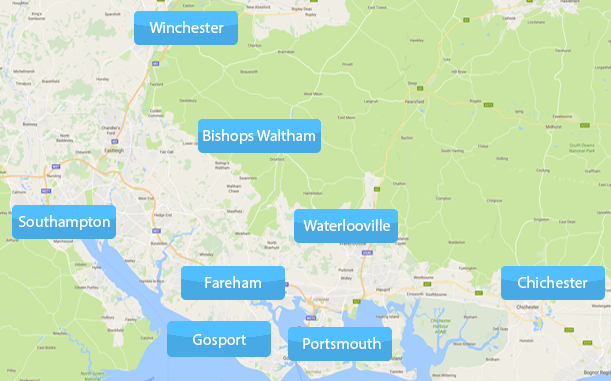 Areas We Cover: Southampton, Eastleigh, Fareham, Whiteley, Gosport, Portsmouth, Hayling Island, Havant, Waterlooville, Petersfield, Winchester, Bishops Waltham, Chichester & Bognor Regis. At Hampshire Locksmiths, we are proud to offer our customers a wide range of affordable window lock and repair services. This includes a 24 hour emergency rapid response, free no-obligation quotations, window lock fitting and replacements, fixed rates and domestic and commercial services. We have a strong local reputation. Visit our dedicated Checkatrade page to find out what our customers think about our service and prices. With an average score of 9.94, you can choose us as your Hampshire locksmith partner with confidence. 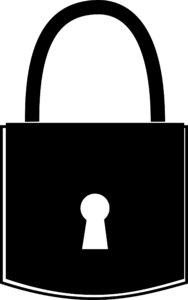 A typically lock used on casements uPVC window can incorporate a combination of locking points to secure the window to the frame. These locking points give the window greater security and resistance to attack. It’s important to be aware which lock you have so you can make a judgement whether you need additional security. Generally most PVCu window locks are split into Espagnolette bars offering the lowest security to a more secure Espagnolette bar or locks with centre bolts and end shootbolts with greater locking points offering higher security. The shootbolt locking mechanism consists of a central gearbox, face bar and shootbolt which extends outward from the top and bottom. Shootbolt locking systems can also be specified to include mushroom cams for enhanced security and can also incorporate a roller cam for superior weather sealing. Tilt and turn windows are different to casement window in that they have locking points around the window to allow it to operate in a unique way. The most common type of tilt and turn handle is Tilt Before Turn which can be locked to prevent the sash moving to the open position. Latches feature on some shootbolt locking systems and extend from the central gearbox as the handle is turned, engaging the locking points. Unlike door latches which are sprung, a window latch extends only on the turn of a handle. Rollers are most commonly used for weathersealing and mushrooms help provide separation resistance of the sash and outer frame. A keep is fitted to the window frame and is where hooks, rollers, mushrooms and shootbolts lock into. Keeps can be specified in a number of materials such as Zinc and plastix. Keeps are usually chamfered and guide the cams into the final locking position. A night vent is a facility in which the window can be locked in a partially open position. This provides increased ventilation without compromising security. Night vents are usually provided by a second locking position within the keeps.